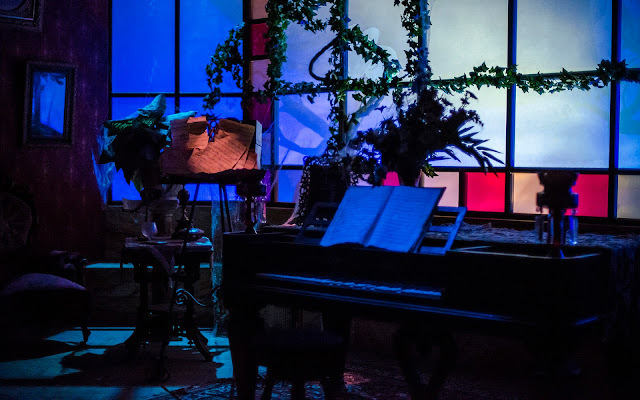 The tragic tale of Melanie Ravenswood traces through each hall of Phantom Manor in Disneyland Paris. 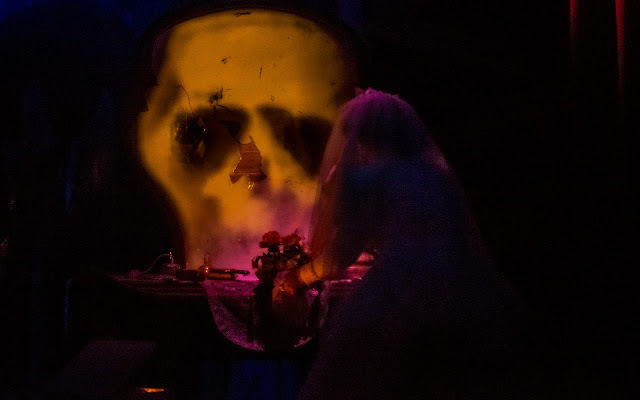 The daughter of the cruel and opportunistic Henry Ravenswood, founder of Thunder Mesa, Melanie was engaged to be betrothed to a train engineer who planned to take her away from the town. 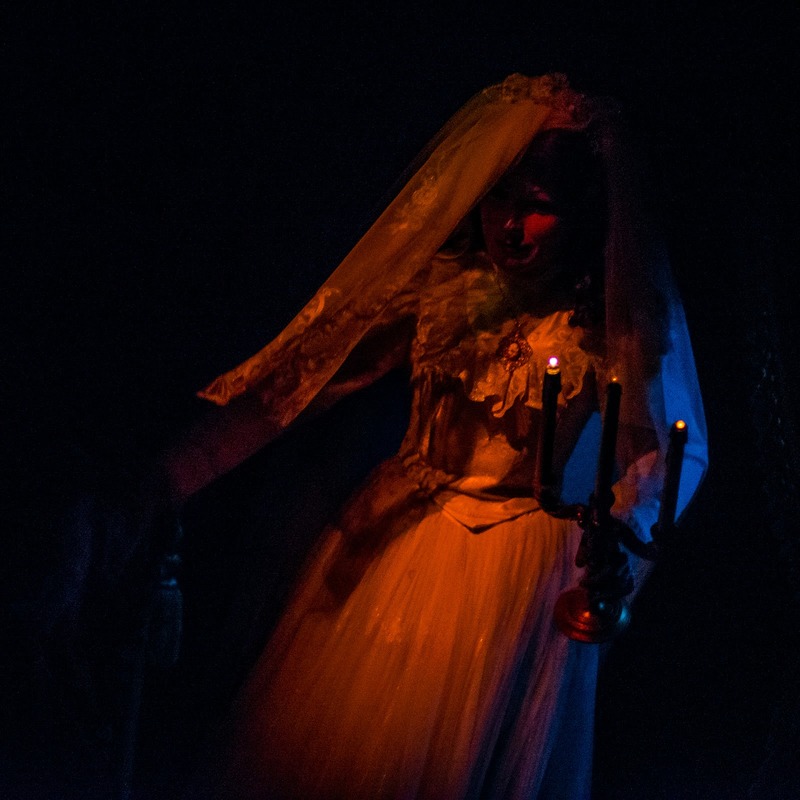 But on the day of her wedding, a sinister phantom lured her fiance up to the attic of the estate, where he was hung. Left at the alter, Melanie slowly lost her mind, never relinquishing her wedding dress or bouquet, wandering the halls calling lovingly to her husband-to-be. 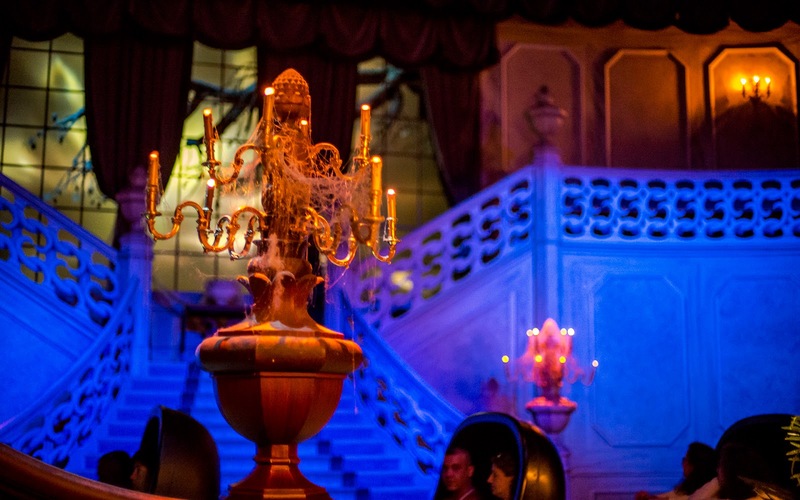 Over time Phantom Manor fell into derelict. But the spirit of Melanie Ravenswood still haunts this cursed property. One need only listen to hear that eerie and somber wail. 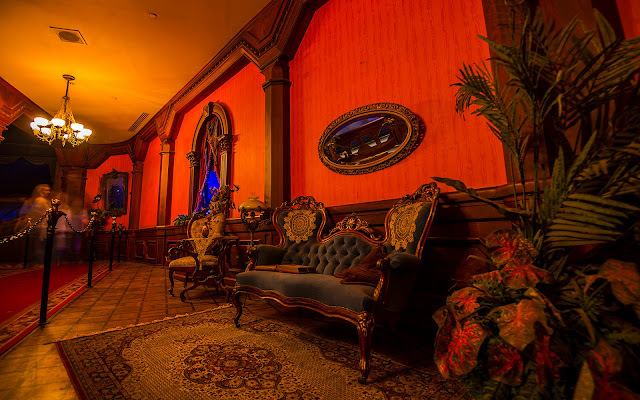 The chamber of the loading station for Phantom Manor is lushly furnished. 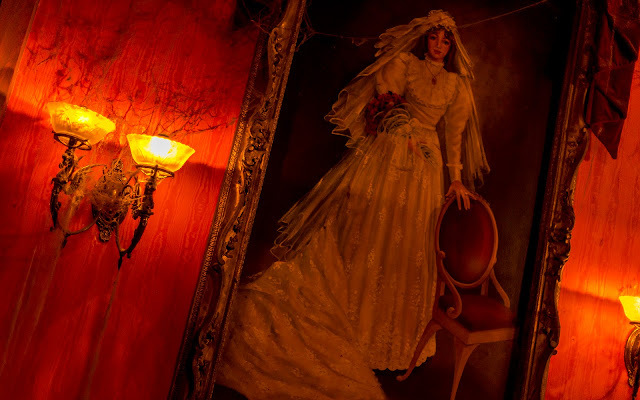 A portrait of Ms. Ravenswood hangs on a nearby wall. Candles covered with cobwebs mark the age of the house. A close encounter with the bride-to-be is a haunting affair. A piano plays a ghostly song. And Melanie Ravenswood weeps for her groom who will never come.